LH Recruitment, the multi-award winning practice are delighted to celebrate their 10th anniversary this month. 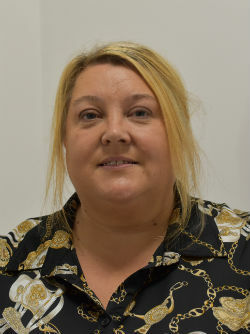 Laura Hartley, the founder and Managing Director of LHR is a well-known figure in the East Lancashire business community and has over 20 years’ experience in recruitment and a who’s who of clients helped over the years. LHR are based at Dalton Court, near the Blackburn with Darwen Services just off the M65, and her team are longstanding, dedicated and passionate about placing quality people in the right jobs. A successful approach which has been acknowledged in winning ‘Recruitment Agency of the Year’ two years running at the Downtown in Business Awards and sees them shortlisted again for 2019. LHR approach recruitment from a different angle, being hands on with face-to-face interviews, meeting every client and candidate and offering advert campaigns to support a business on their recruitment journey. Laura herself has been at the centre of business enterprise and mentoring in the region, as a regular judge of the LBV Red Rose Awards, a keen supporter of Blackburn and Wigan Youth Zones, The Hive, Burnley College, Oysters & Pearls and the Big Sister initiative for the national charity Girls Out Loud. SAMS charity is close to her heart and Laura regularly badgers contacts for this worthy cause that donates Easter Eggs and Christmas presents to support vulnerable people in the local area. Along this journey Laura has identified a need to support businesses once they have recruited, by giving the new employees the best opportunity to succeed through psychometric profiling, recruitment and on-boarding programmes and audits, interview support and work assessment. This new venture is branded Hartley, People Retention Consultancy and helps both the candidate and business owner alike. Together LHR and Hartley are well placed for the changing face of recruitment over the next 10 years.